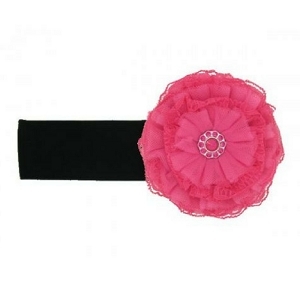 Black Hat with Raspberry Lace Rose | Buy Jamie Rae flower hats for baby girls at SugarBabies Boutique! 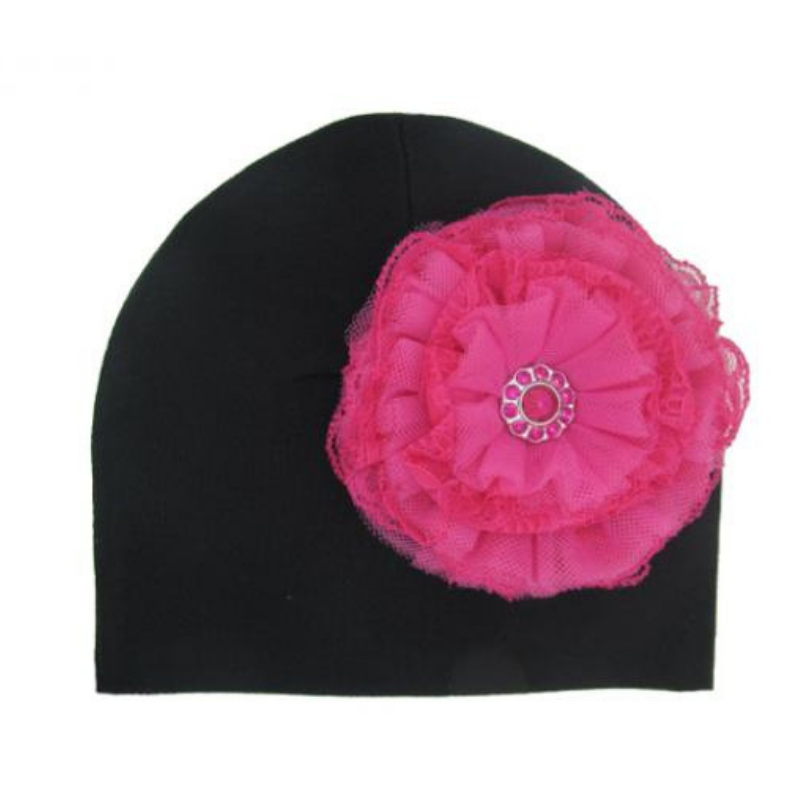 Fabulous and fun, these adorable hats by Jamie Rae will make a wonderful gift for the little girl in your life! Perfect to give at baby showers and birthday parties. Each hat is handcrafted with care and made with a child's comfort in mind. The details are never overlooked and it is apparent in every hat. Made of 100% super soft rib cotton for a comfortable fit and lightweight for year-round wear.